BCF : Texas waiter made up racist note story, Saltgrass COO says. 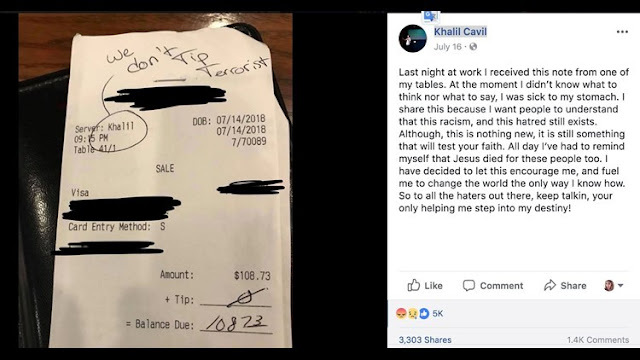 Texas, wrote zero in for his tip and put a note at the top of their receipt that said, “We don’t tip Terrorist.” His story quickly gained international attention and the restaurant’s corporate office said it had banned the customer responsible. Now they say they’ve learned the whole thing was made up.